Oh my. These were divine. 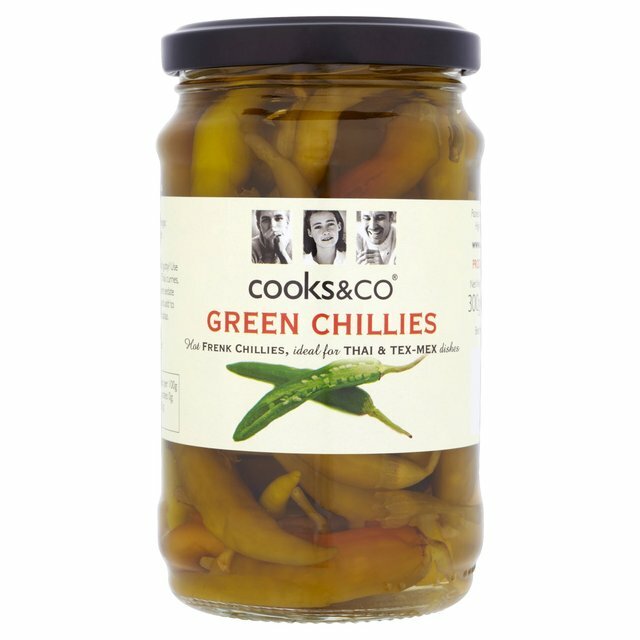 I couldn’t really believe how good they were, as there were only a few simple ingredients. Make these as soon as you can. Yum. It’s possible that the deliciousness of these was mostly to do with the cheese I used. 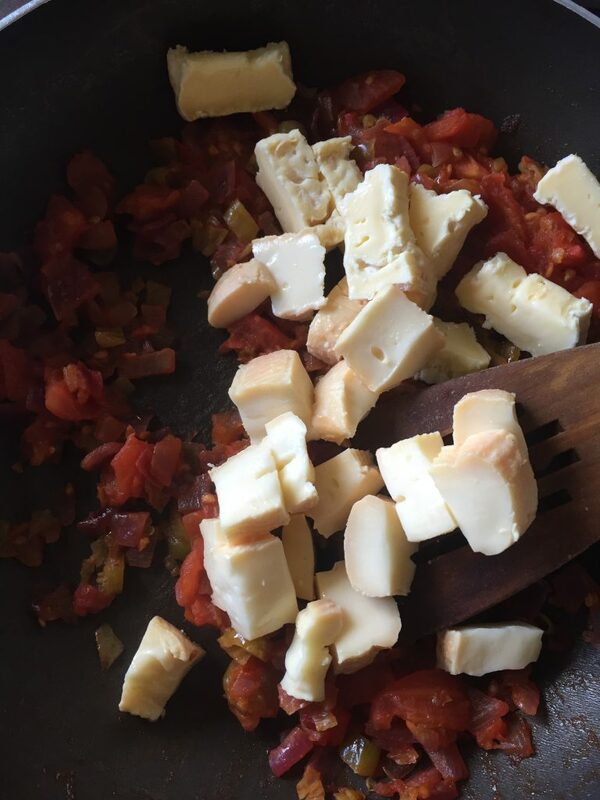 Not having access to asedoros here in London, UK, I used up some Muenster I had hidden in the freezer after a recent batch of Vincent Price’s Mexican Creamed Corn and a bit of another cheese I’ve forgotten the name of. Mmmm! Stinky delicious cheese! I made my own corn tortillas, not because I am a domestic goddess, but simply because I have some Masa Harina and a tortilla press bought purely and simply on a whim. Making another batch of tortillas brings the “cost per wear” down. Plus it is really hard to get corn tortillas here in jolly old England. 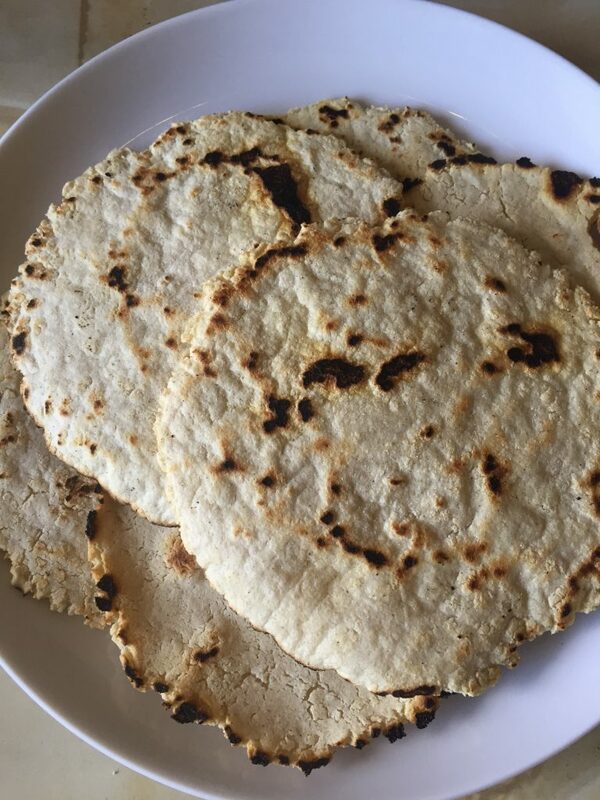 If you use shop bought tortilla wraps here in the UK, please bear in mind that they are usually much bigger than traditional home-made tortillas. You might need to use double the mixture in each tortilla and therefore, serve one tortilla per person instead of two (or three in my greedy case). I would say that Dolores’ recipe would serve 4 people with 3 small enchiladas each. I had three for lunch with nothing else and was STUFFED! I made half of Dolores’ recipe so bear this in mind when looking at the pix. If you make the whole recipe, your quantities will be double those in the photos. Oh, these were GOOD! Such a brilliant lunch. 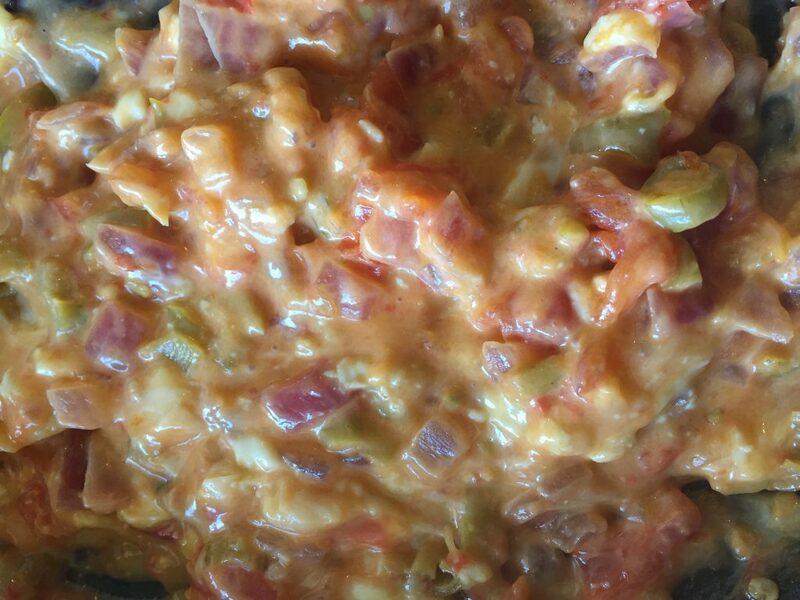 You can easily make this recipe vegetarian by using something other than lard for frying such as Trex or Crisco. 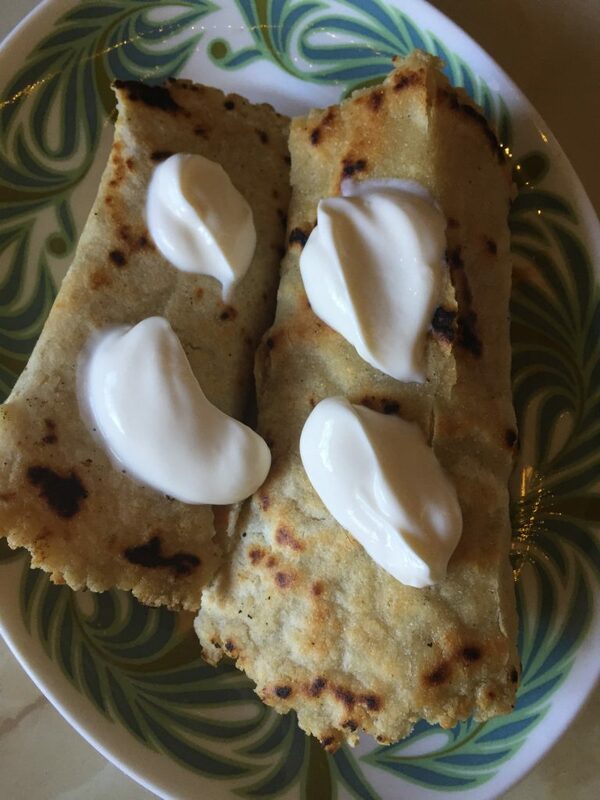 I didn’t go mad with the cream cheese, I think Dolores would have had more than this on her enchiladas. 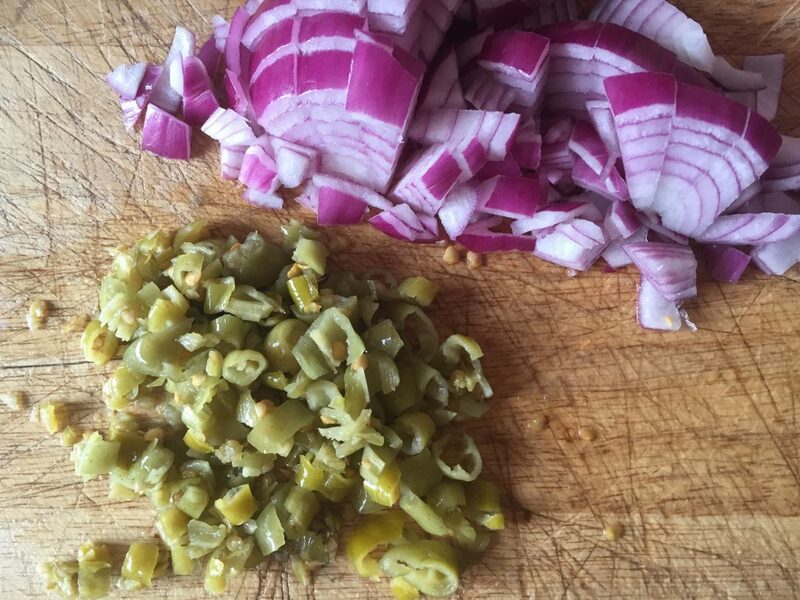 Scald tomatoes and peel, cut onions fine, fry them in lard, then add tomatoes and mix with onions, then cut chiles fine, too, and also mix, season with salt and add asederos, until it begins to melt, remove from fire. 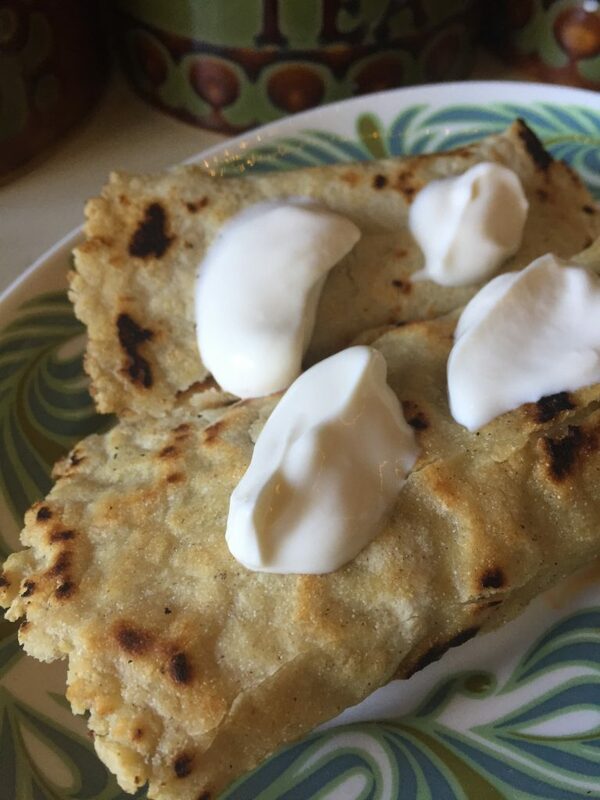 Fry tortillas, one by one, in lard, leave them soft. 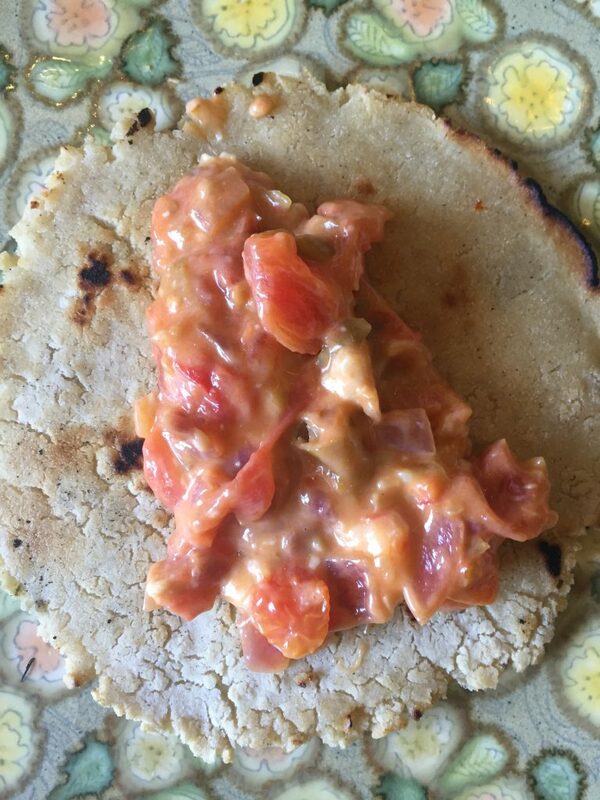 Place tortilla on plate and put in the centre of each one the mixture of tomatoes, onions, cheese and chiles, roll each one and cover them with sour cream. Serve immediately. They look delicious! So happy to see that tortilla press back in use! Haha – yes indeed! I just love those homemade tortillas – I froze 3 so will see how they turn out after freezing. Hmmmm – am just thinking about making another batch of enchiladas this weekend. Mmmmmmmmm! I’m thinking of adding some chicken to my enchiladas. It looks delicious. I’ve always been accustomed to using the red enchilada sauce. Hi Anne – ooh yes, I think chicken in these would be LOVELY! We are so behind with Mexican food here in the UK, I don’t think I’ve ever seen enchilada sauce for sale here! Do let me know how your enchiladas turn out if you base them on the Dolores recipe!